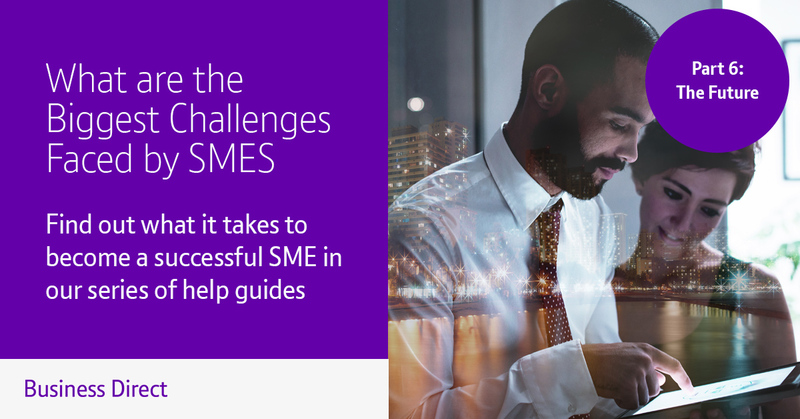 As the owner of an SME it’s nearly impossible to predict what is going to happen in your sector in the next few years, but you can still try your best to prepare for any eventuality. If you set your stall out by standing still, sticking to your tried and tested methods or ignoring advancements then you’re destined to be surpassed by not only your competitors, but the sector as a whole. In the last in our series, we take a look at the future and how SMEs can adapt and move with the times in order to stay ahead. Stay on top of what is going on in and around the sector. A new business is time consuming and it can be easy to miss industry updates or breaking news that could affect you and your customers. There are a number of things that you can do that will help you to stay on top of the ever-changing sector you’re in, many of which take just a few minutes each day but will help you to stay current and to keep moving forward in your industry. Setting up Google Alerts will ensure that references to certain words in your sector are compiled in an email for you to read each morning; while bookmarking industry sites and blogs will help you to read what larger businesses in your sector are producing so that you can be inspired and so that you can learn from their experiences. It is then always good for you to set time aside to create your own content – whether it’s a press release about a client win or a blog post explaining how to do something or what a new regulation means, so that you give a unique perspective and build authority. We’ve already mentioned how quickly things can change in the world of technology. There are frequent software updates required for mobile devices while manufacturers are working on their next collection of computers including laptops, tablets, desktop PCs, smartphones, wearables and more before the “new” model has even hit the shelves. As a business owner it’s important to stay on top of these changing trends while also keeping an eye on the purse strings as we outlined in our very first guide in this series. New technologies, upgrades and updates are all great on the face of things but you’re faced with potential downtime and sizable outlay in order to roll them out across the business. If you’re going to hit the upgrade button be sure to do your research first and ensure that it’s a worthwhile investment. If staff can’t come to grips with the advancements then you’re faced with more issues than you would’ve been on the ‘older’ system, a bit like when Microsoft rolled out their Windows 10 operating system which lovers of Windows 7 can’t come to terms with, even today! Should you need any advice at all on upgrading to the latest computing systems or software for your business don’t hesitate to get in touch with us here at BT Business Direct and we’ll do all we can to identify the most suitable solution for you and your business.